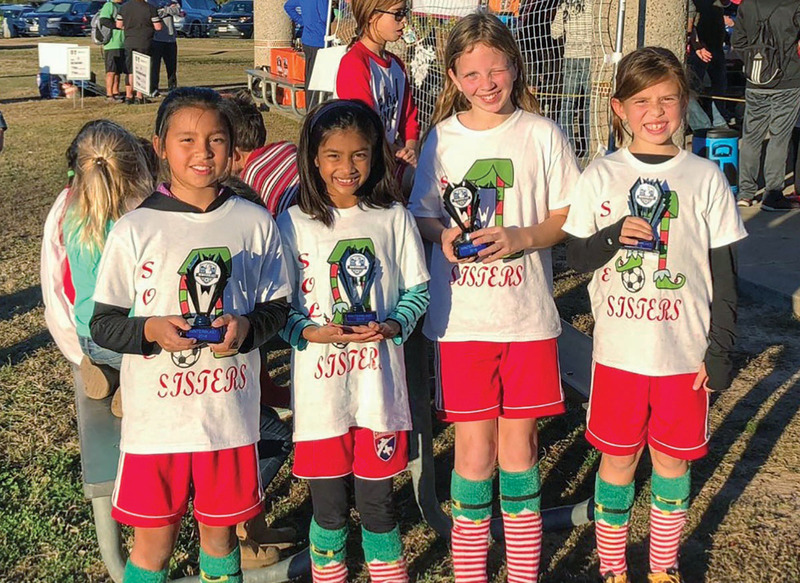 The Sole Sisters, (pictured, from left) Cali Alamilla, Sania Mehta, Conlee Hodges and Reese Lopez, won second place at the Woodlands WinterBlast 3v3 Soccer Tournament. These Challenge Soccer Club girls, a competitive girls soccer academy, were coached by Samir Mehta. Cali is a fourth grader at Arizona Fleming Elementary, Sania is in third grade at Condit, Conlee is in fourth grade at River Oaks Baptist, and Reese is in third grade at Awty.